The friendly staff at Urology Associates welcomes your call and looks forward to serving you. If you have any questions about our urological services, please call our office at (405) 749-9655. To schedule an appointment, you can call us or use our secure online appointment request form. Our main office is conveniently located in northwest Oklahoma City near the intersection of Lake Hefner Parkway and Hefner Road. In addition to our main office, several physicians maintain weekly or monthly clinics in other locations. To make an appointment at one of these locations, please call our main office at (405) 749-9655. Our El Reno office is located just west of Mercy Hospital El Reno in the Mercy El Reno Specialty Clinic. Our Kingfisher office is located within Mercy Hospital Kingfisher Specialty Clinic. Our Shawnee office is located 1/2 mile north of Oklahoma Baptist University. 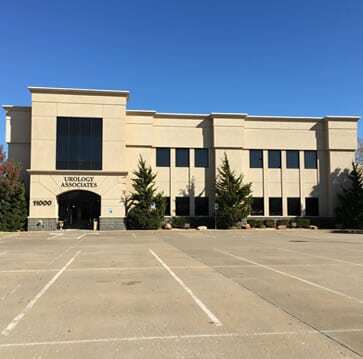 Our South Oklahoma City office is located 1/4 mile north of 104th and Western. Our Edmond office is located at the Integris Health Edmond hospital complex, just east of I-35, in the 4833 Medical Office Building. Our Weatherford office is located 1/4 mile north of the Weatherford Regional Hospital.